Leonardo da Vinci is my new hero – with unfinished projects, a stylish fashion sense, and insatiable curiosity about everything. Walter Isaacson’s biography of Leonardo da Vinci is heavy, not only in the depth and span of its content but also in it actual weight. Within almost 600 thick glossy pages, Leornardo, his paintings and drawings, as well as his curiosity and genius, come to life. I read them all, and I took notes. I look forward to the movie but glad I read the book first. My notes will remind me of this great genius, a caricature I remember from his portrayal in the movie “Ever After.” The movie seems to reference many of Isaacson’s notes, especially in Leonardo’s old age, but of course there was more to the artist than on the screen. Leonardo da Vinci was a vegetarian, left-handed, and wrote in mirror script (right to left with his letters backwards to avoid smearing the ink). He was self-taught and excelled in geometry. He was the illegitimate son of a notary, but his father acted as his patron into old age. He was an idea man but his “execution did not go as well as his conception” – lots of unfinished projects. He planned to write many books he never got around to publishing. The fresco of “The Last Supper” had deteriorated badly after only twenty years because Leonardo changed the fresco technique into oils on dry plaster; it all flaked away. Leonardo was a friend of Machiavelli, and his rival was Michelangelo. When Leonardo was on the committee to approve Michelangelo’s “David”, da Vinci has “a garland made of brass and twenty-eight copper leaves…covering David’s genitalia. It stayed that way for forty years.” in the guise of decency. He was a favorite of the kings of France and retired in the Loire Valley before he died at 67. My favorite part of flying is the take-off. I like to close my eyes as the plane revs up its engines and begins the thrust down the runway. Against all odds, the tons of metal carrying people in their seats, luggage above their heads and below in the cargo hold, pounds of water and fuel – all miraculously rise into the air. I always know that moment; I can feel it as the plane rises up off the ground, and nothing during the rest of the flight offers the same exhilaration. Recently, I zigzagged across the country, wondering if my checked luggage was following my erratic itinerary, but I enjoyed six take-offs in nine days, six ecstatic moments of floating. As is my practice, I brought old New Yorker magazines to read during my flights – these were dated before the last Presidential election, so I ignored the predictions and focused on the articles. Claudia Roth Pierpont’s amazing review The Secret Lives of Leonardo da Vinci convinced me to find Walter Isaacson’s biography Leonardo da Vinci when I landed. A short piece by Jonathan Franzen – Hard Up in New York – about his life before he was as rich and famous as a writer can be, inspired me to write this short piece. When I finish reading, I usually offer the magazines to the flight crew, or drop them in the seatbacks as a surprise for the next traveler. I’ve been tempted to leave them in the terminal with a code I’ve used for books in Bookcrossing, a website that allows you to assign unique numbers to your books, and use these numbers to track your books as they travel across the globe. I’ve released a few books “into the wild” – in designated public places for others to find. Let me know if you try it. And scroll down to see a picture of my travels on Instagram. Steve Jobs haunting face appeared every time I turn on my Apple computer, until finally I changed the default page. Today is Steve Jobs Day; promoters are suggesting you wear a black turtleneck and jeans; you might also want to go barefoot. Accolades to this genius who revolutionized communication are still seeping into the networks, but Maureen Dowd’s recent column on Jobs’ family background – Prospero’s Tempestuous Family – inspired me to find a new author – Mona Simpson. Money can buy secrecy or reinvent a public face, but evidently, it still doesn’t buy happiness. 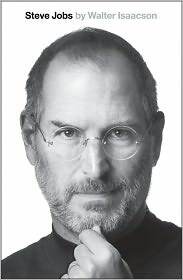 Dowd summarized Steve Jobs’ background as an illegitimate child abandoned by his college student parents to adoption in the fifties, and then his search for them in later years to find not only his mother, married and then divorced from his birth father, but also a sister, who had become a novelist – Mona Simpson. In Mona Simpson’s roman à clef, A Regular Guy, Steve Jobs is disguised as Tom Owens. Like Jobs, he dropped out of college, created a multimillion dollar business at a young age, and abandoned his own illegitimate child – a daughter. 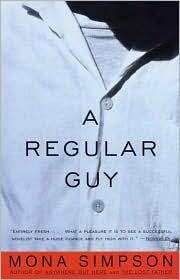 Within the first 50 pages, Simpson had already presented a chilling image of the protagonist – a brilliant entrepreneur who carefully constructed his emotionless life; the prose and the story were gossipy but not compelling to read. Walter Isaacson, biographer of Einstein and Benjamin Franklin, has his biography of Steve Jobs ready for publication this month. It will be interesting to see how much of the family drama he includes.